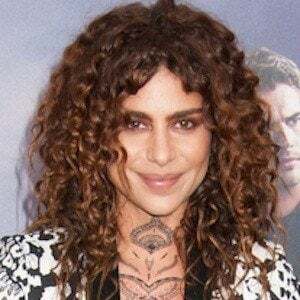 German actress who achieved a new level of international fame when she was cast in the role of Nita in the 2016 young adult novel adaptation The Divergent Series: Allegiant. She was previously known for her appearances on German television shows like Stuttgart Homicide. She first met with a talent agent in hopes of becoming an actress at age seventeen. Her first audition landed her a role in a German television movie. She won a Fright Meter Award for her performance in the 2014 horror film Spring. She appeared alongside Shailene Woodley in The Divergent Series: Allegiant.